Professionals can offer expert advice and guidance to help window and door projects go more smoothly. The process of buying and installing windows and patio doors goes more smoothly when you work with professionals. They will help ensure you order the right products, properly sized to fit and operate flawlessly. Professionals will help you avoid common mistakes that will ultimately save you money and frustration. Dealers are generally local business owners invested in their communities and dedicated to providing excellent customer service. They can help walk you through your project to select the best windows and doors for your home’s architecture as well as your climate and lifestyle. Many offer installation services or can recommend a professional with whom they worked before. Milgard Certified Dealers have the opportunity to participate in the Milgard Dealer Distinction Program measured by Exceptional Customer Satisfaction, Showroom, Web-Site, AAMA Certification and Product Knowledge. For many homeowners, a contractor is the primary professional handling the window and door project. General Contractors typically oversee and manage a job from start to finish including design, selection and installation. They may do the work themselves or hire subcontractors for different elements of the job. Window/door installation contractors specialize in installation only. For new home construction and larger additions and remodels, you may be using an architect. Architects stay current with the latest trends and codes, and can offer solutions to a variety of issues that come up with regard to a particular site, building limitations and budget restrictions. 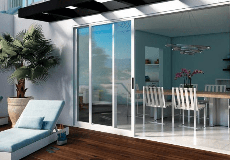 They are a great source of information on how windows and patio doors can effectively take advantage of natural light, enhance views, improve design and increase energy efficiency. Depending on the scope of your project, you may need to hire additional subcontractors to help complete your project. These could include carpenters for trim work around the new windows and patio doors, painters for areas that need touching up, designers to offer treatment ideas and electricians to modify or add lighting to your home. Sometimes electricians are needed to move wires in a replacement project.